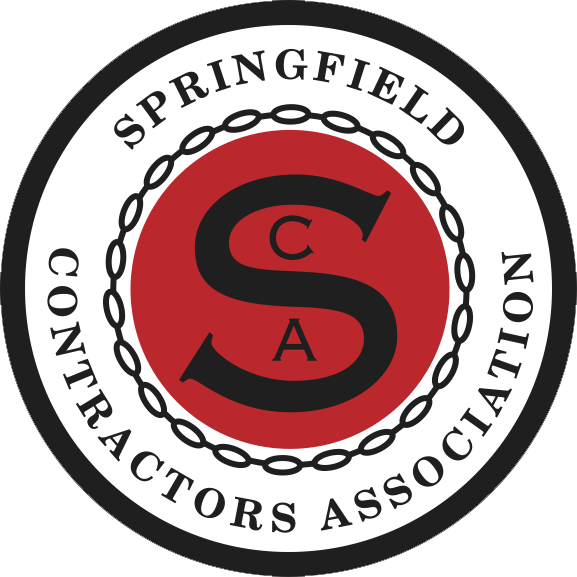 The Springfield Contractors Association hosts a variety of events throughout the year. Check out the SCA Calendar for current events and for more information on each event. The SCA holds General Membership Meetings on the first Tuesday of each month with the exception of a break during July-August and November-December. The January and September meetings are pushed to the second Tuesday due to holiday schedules. The meetings rotate between breakfast, lunch, and evening times. Registrations are $20 in advance or $25 the day of the event. Generation Next hosts a Membership Drive each February at Enterprise Lanes. The event is an opportunity for all 40 and under members to connect and learn more about the group. All SCA Members are invited to attend regardless of age. Build My Future is a construction showcase for high school students in the area. The SCA partners with several associations, businesses, and unions for the event. The Spring Shoot Out is held the second Friday afternoon in April at Ozark Shooters. Teams can be created of 4-6 shooters at $50 per shooter. Lunch is provided before the Shoot Out. Generation Next hosts an annual Bass Bash fishing tournament each Spring at the Port of Kimberling City. All SCA Members are invited to attend regardless of age. The Spring Golf Tournament is held the third Friday in May at the Hidden Valley Golf Course. There are morning and afternoon sessions available. Both sessions are a four-man scramble at $100 per person. The Pig Roast is held at the Ozark Empire Fairgrounds in the Noel Boyd Pavilion Area on a Friday in June. Tickets are $25 for members in advance or $30 the day of the event and for non-members. The Summer Golf Tournament is held the third Friday in August at the Island Green Golf Course. There are morning and afternoon sessions available. Both sessions are a four-man scramble at $100 per person. Generation Next hosts a Charity Event each year in September. All net proceeds are donated to a charitable non-profit chosen by the Generation Next Core Group. All SCA Members are invited to attend regardless of age. The SCA partners with CSI and the Springfield Rugby Club for the annual Chicken BBQ. The event is held on the second Thursday each September at the Springfield Rugby Club. Tickets are $20 in advance or $25 the day of the event. The Fall Shoot Out is held the second Friday afternoon in October at Ozark Shooters. Teams can be created of 4-6 shooters at $50 per shooter. Lunch is provided before the Shoot Out. The Salute to Design & Construction Awards Banquet is hosted by the Salute to Construction Council on the first Thursday of November at the Oasis Convention Center. The banquet recognizes local scholarship recipients as well as the AIA Craftsman of the Year, AIA Superintendent of the Year, NAWIC Woman of the Year, SCA Design Team of the Year, SCA Developer of the Year, Salute Photo Contest winners, and the Salute Lifetime Achievement Awards. Tickets are $35 in advance or $45 the week of the event. The SCA Christmas Open House is held on the first Friday in December at the SCA Office from 4-7 event. The event has no cost to attend.